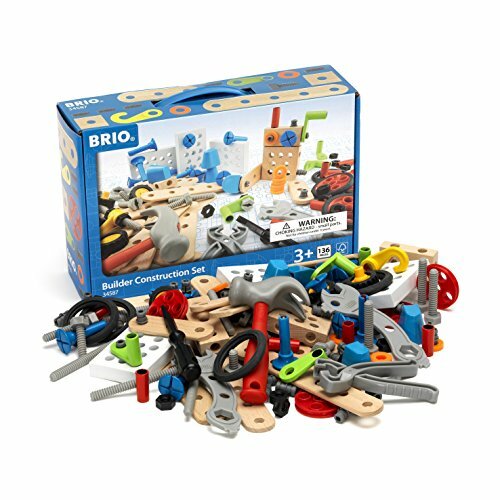 The STEM building toy system for toddlers, grippies builders combines tactile exploration, magnetic play and an introduction to the basic principles of engineering and geometry. 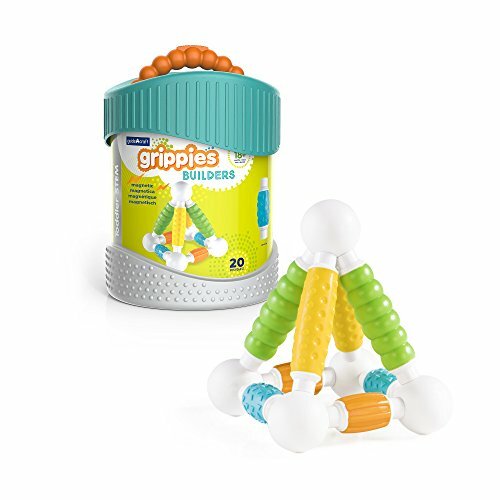 Grippies unique, magnetic rod and ball Configuration provide a secure, frustration-free set of construction options as children first discover the joy of building. Unique in concept and design, grippies provide a fun, safe and exploratory experience for toddlers. The 20 piece set features 4 soft matte textures in exciting bright colors. Suggested age: 18 mos. +. Why should you choose our magnetic tiles? 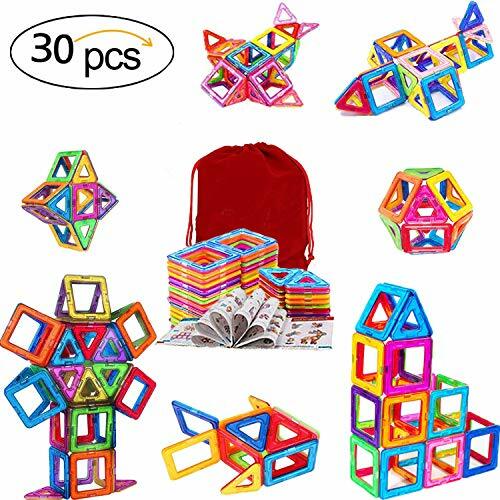 ● Develop spacial logic: Your child can easily start building the basic forms from 2D shapes to 3D models;Manipulative ability and problem-solving skills can be learned from this item.● Sparkle Imagination: It can inspire children's unlimited imagination, For example armored car,lighthouse,polyhedron,cabin. As more as you can imagine.● Team spirit: This Magnet toys can not only enrich their imagination, but also train their team spirit and attention.You will find that they no longer pestering you, but always play with friends.● Non-toxic ABS Plastics: Magnetic blocks made of Non-Toxic and durable ABS plastic, food grade material; Round edge design without sharpness, makes it safe to DIY with smooth hand-feeling. Don't need to worry about hurting your kid's little hands.● Powerful Magnet and durable: Magnet is very important part of this toy. The stability of the shape requires strong magnetism to hold. We magnet are hard, resistant to wear. Magnetic blocks can be easily combined and cannot be easily separated. Building ideas with 30 Pcs magnetic tiles. ● 15 x Triangles. ● 15 x Square. ● 1 x Storage Bag. ● 1 x Booklet. 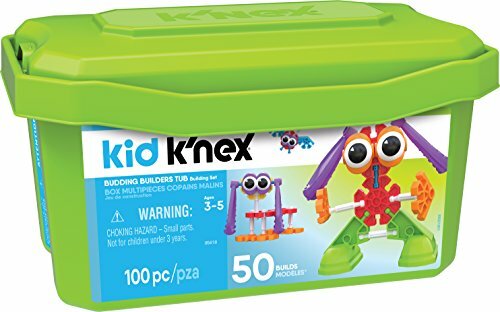 The big, soft, chunky pieces in this Kid K'NEX set can be used by children with varying manipulative skills, while providing a way to stimulate their creativity and imagination. 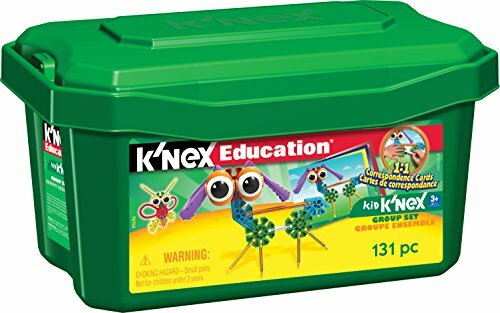 Build 8 models from 1:1 correspondence cards, or create your own creatures using the 131 parts, including 10 eyes and 2 ears/wings. 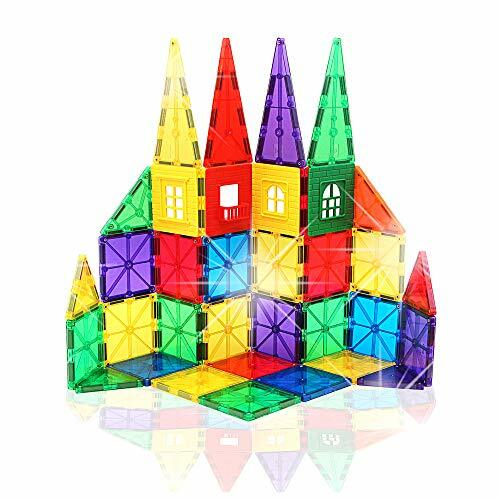 The pieces stay together during play but can be easily disassembled, and they allow children to build in any direction. 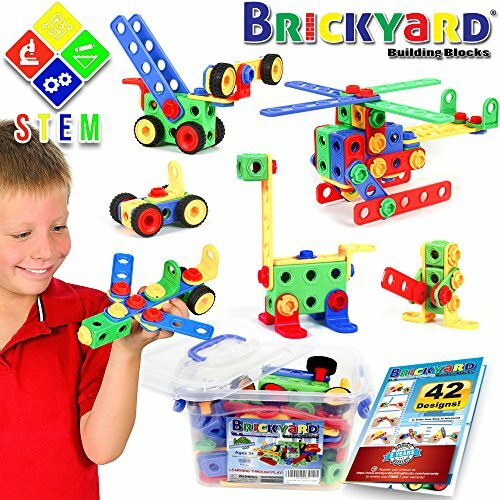 The set includes enough pieces for 6-8 children to build simultaneously and is packaged in convenient plastic bin with snap-on lid for easy storage. Perfect for the classroom or playroom! Construct A Truck-City Builder Set-Excavator. Create a construction site+take the truck apart&put it back together+Friction powered(3-toys-in-1! )Awesome award winning set - encourages creativity! 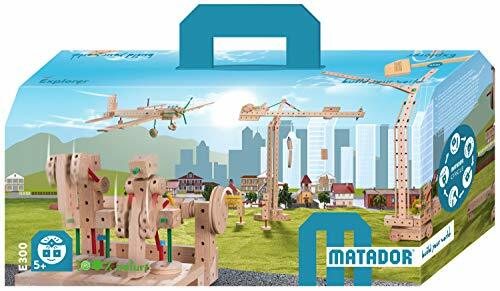 Construct A Truck-City Builder Set-Crane. Create a construction site, then take the truck apart&put it back together+Friction powered(3-toys-in-1!) Awesome award winning set encourages creativity! Construct A Truck-City Builder Set-Dump. Create a construction site, take the truck apart&put it back together+Friction powered(3-toys-in-1!) Awesome award winning set that encourages creativity! Construct A Truck-City Builder Set-Mixer. Create a construction site, take the truck apart&put it back together+Friction powered(3-toys-in-1!) Awesome award winning set that encourages creativity! Want more 3 Piece Builder Set similar ideas? Try to explore these searches: Green Cat5e Connector, Serenity Prayer Gift, and Mike Bossy Memorabilia.